Once the festive fun is over, local residents are reminded that they can recycle their real Christmas tree at a number of convenient locations right across Mid Sussex. 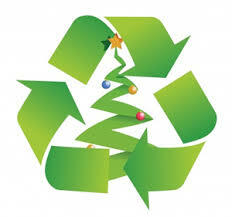 Mid Sussex District Council is keen to help get 2014 off to a green start and has set up a number of local collection points so there will always be a place nearby where residents can recycle their real Christmas tree. Residents with a green garden waste collection bin can put their tree directly into it, as long as the lid can still close firmly. Alternatively, people can take their real tree along to one of the Household Waste Recycling Sites at Fairbridge Way in Burgess Hill or Imberhorne Lane in East Grinstead. There are also a wide variety of local drop off points in towns and villages across the district. Sites will be open between Friday 3rd January and Friday 17th January 2014. This entry was posted in Home Page, Rubbish. Bookmark the permalink.